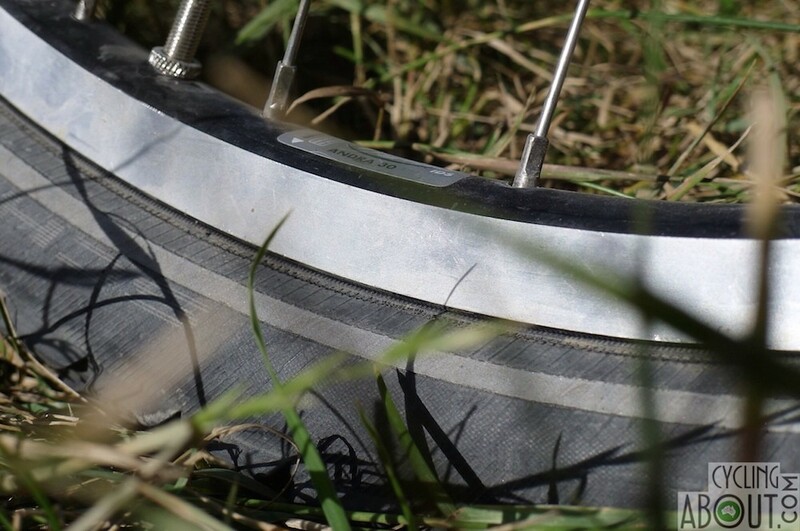 It’s not worth settling for second best when it comes to rims as wheel failure can really put a damper on your tour. 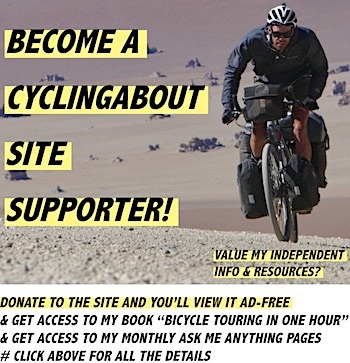 It is my experience that rims are one of the most important components of a touring bike. Even with the best quality wheel build, the nicest spokes and the most solid hubs… rims can and do fail due to heavy loads, braking and harsh terrain. The strength of your rims will need to be matched to your body weight, estimated load and the type of terrain you’ll be riding on. 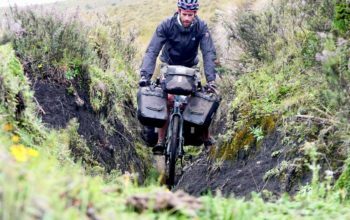 If you’re a 50kg rider with a 10kg load, there is no way you need heavy duty touring rims. If you weigh 80kg and have a 40kg load – that’s another story. 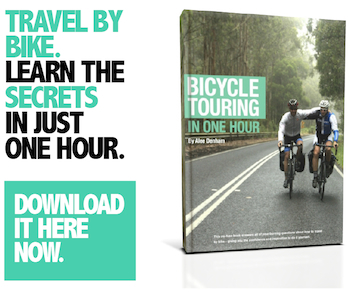 In this resource, I discuss the key factors to a good touring rim and will make some recommendations for the best brands and models. Almost all bicycle rims are made out of aluminium. They are constructed using semi-molten aluminium that is extruded through a mould in a certain profile, then manipulated into a hoop, and welded or pinned together. Aluminium rims can be as light as 300g and as heavy as 900g. Good touring rims are generally in the 550-800g range. Aluminium superseded steel a few decades ago as it is light weight, strong, rust proof and offers excellent braking in comparison. Carbon is becoming more prevalent on road and mountain bike wheels, although it’s currently quite cost prohibitive. With carbon technology improving so rapidly I wouldn’t be surprised if carbon rims became common place on disc brake touring bikes within a decade! Rims can be single, double and even triple wall, although you’ll find all good touring rims in the double wall variety. This simply refers to the number of aluminium layers to the rim. Rims are available in multiple spoke hole configurations. 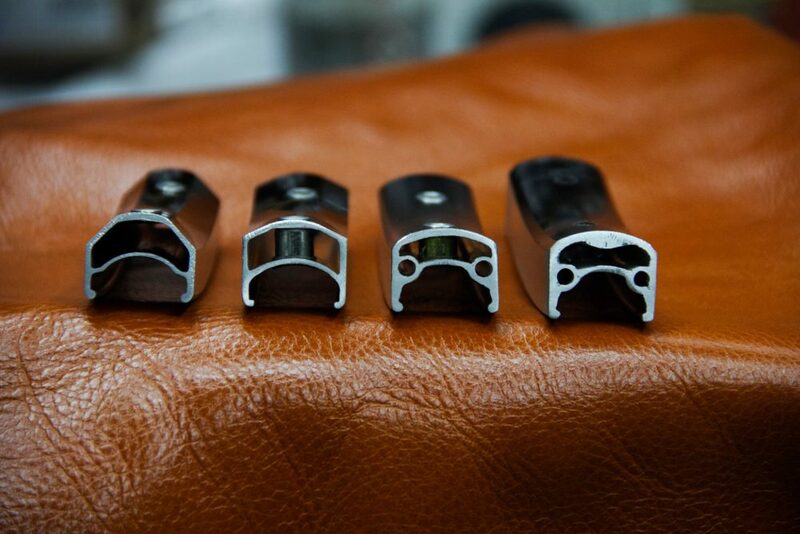 The common touring setups include 32, 36, 40 and 48 holes. The advantage of more spokes is a decreased load across the hub, spokes and rims. I generally only recommend 40+ spokes for really heavy riders, people with heavy loads and tandems using 700C wheels with cassette hubs. Otherwise, you will likely roll happily with 32-36h rims, good quality spokes and a professional wheel build. Eyelets are the aluminium sleeves that reinforce spoke holes. Not all rims are eyeletted, but some manufacturers use eyelets to build lighter rims without compromising on strength (for example, Ryde drops 70 grams off their rims when they use eyelets). Double wall rims can come with single or double eyelets (socketed). Double eyelets evenly spread the spoke tension across both walls of the rim, allowing the rims to be lighter/stronger. They are available on the Ryde Sputnik, Mavic A719, DT TK540 and EXAL ML21/XL25 rims. You’ll notice that many of the strongest rims on the list below achieve their strength without eyelets, instead relying on extra-thick aluminium walls. It is therefore not a necessity to have touring rims with eyelets, although you can achieve a minor weight reduction if you do. Rims come in many different widths and should ideally be matched to your tyres. Some rims have been designed without a brake track for use with disc brakes. 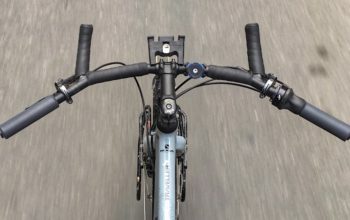 You can use a rim with a brake track on a disc brake bike, but not vice-versa. Once the rims are extruded and hooped, they are pinned together or joined with an arc weld. Most lightweight rims tend to be better when they’re welded, although with heavy duty rims (500g+) I’ve found that the way a rim is joined contributes very little to the overall strength. 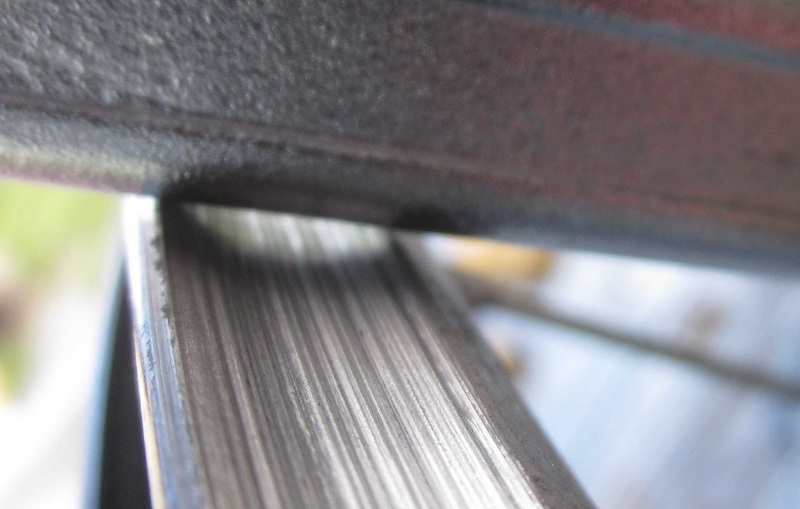 Some manufacturers offer special coatings on their brake track in order to increase rim longevity, improve braking performance and prevent failures. 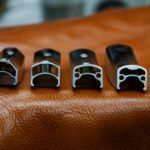 Ryde uses a Carbide Super Sonic (CSS) coating on all of their touring rims which is said to make them wear four times slower. 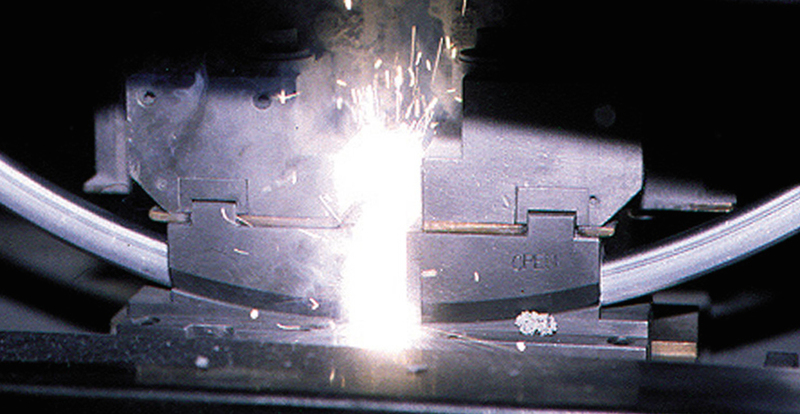 The process includes blasting tungsten carbide into the braking surface at several times the speed of sound, making the surface extra hard and resilient to brake wear. Please note that you should ideally use CSS-specific brake pads with this braking surface, available from Koolstop, otherwise you’ll wear out more pads than necessary. 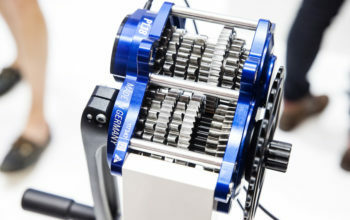 As the shell diameter of a Rohloff hub is so large, it is best to use special rims that have their spoke holes drilled on specific angles, putting less stress on the hub shell. The Ryde Andra 30 and EXAL EX19 rims are the best to use for 26″ Rohloff wheels. I’ve used the Ryde Andra 30 Rohloff-specific rims on my tandem for years without issue. 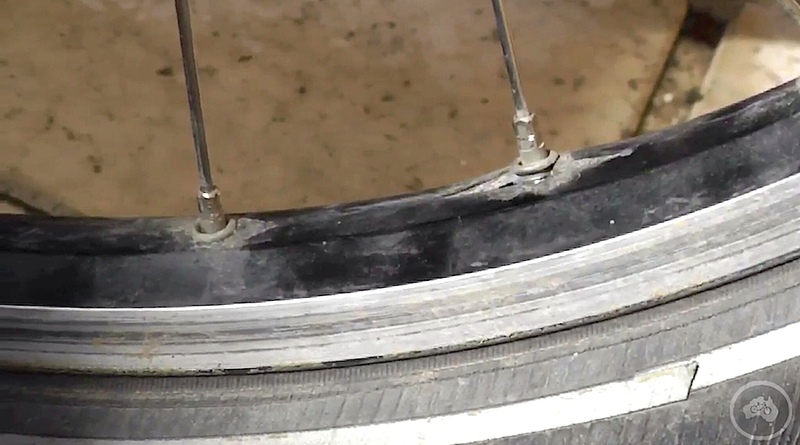 This is the most common form of rim failure on a touring bike. If your aluminium rim isn’t thick enough, you will find spokes pulling through your rim – even with eyelets. I’ve never seen or heard of this form of failure on Ryde Andra or Sputnik rims, but it is common amongst sub-500g rims. My cracked Mavic XM719 rim which had a handful of spokes blowing through the rim. 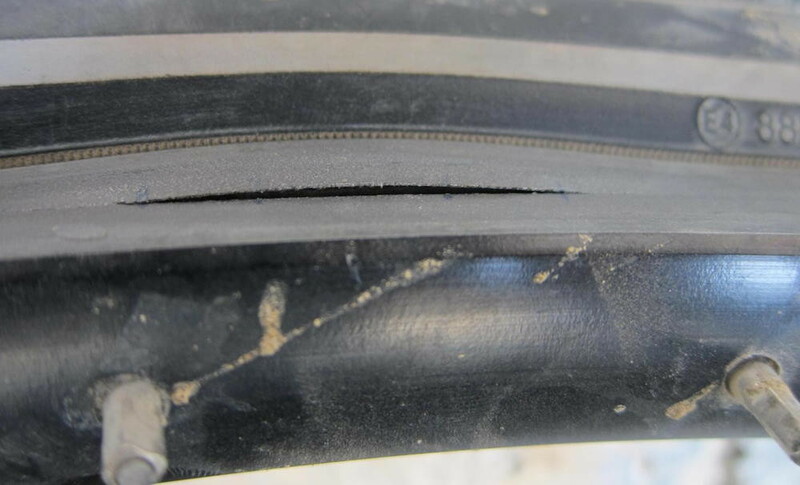 A less common form of rim failure is along the brake track. This is said to be attributed to exceeding the maximum tyre pressure of the rim, in combination with a heavy load. If you’re really unlucky, it’ll simply be a manufacturing defect. Over time, rim brake pads wear away at the aluminium. The rate of wear depends on the conditions you’re riding in, how hilly it is and your braking habits. Most tourers experience over 20,000km of riding before needing to replace their rims. Ryde offers a carbide coating on their rims which is said to wear at a rate of 4x slower. If you’re going on a big trip, check their rims out. Excessive brake wear on an aluminium rim. This is a list of the rims I endorse for heavy-loaded touring. My favourite brand of touring rim, without doubt, is Ryde. I have no affiliation with this manufacturer but have found through 30,000km+ of tandem touring that nothing beats them on strength. 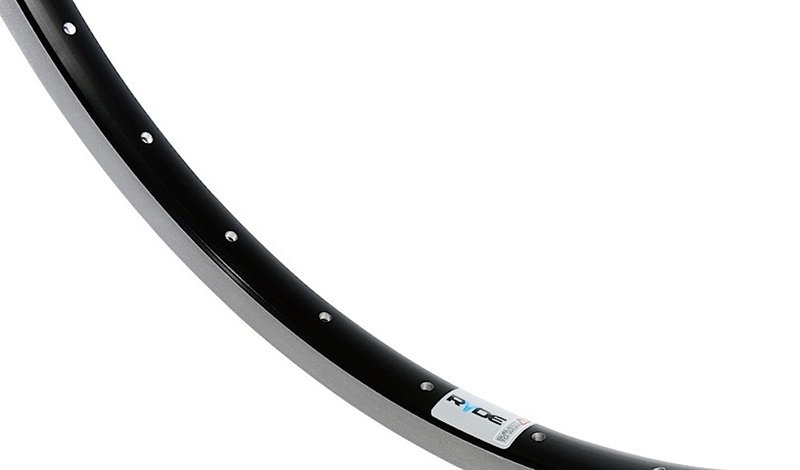 It makes sense that they last – Ryde rims are often a couple of hundred grams heavier than other rim models. 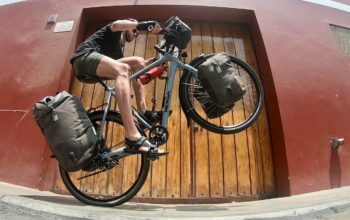 If you have four panniers and weigh a bit yourself, or you’re off on a big touring trip, those grams deliver a great piece of the mind. 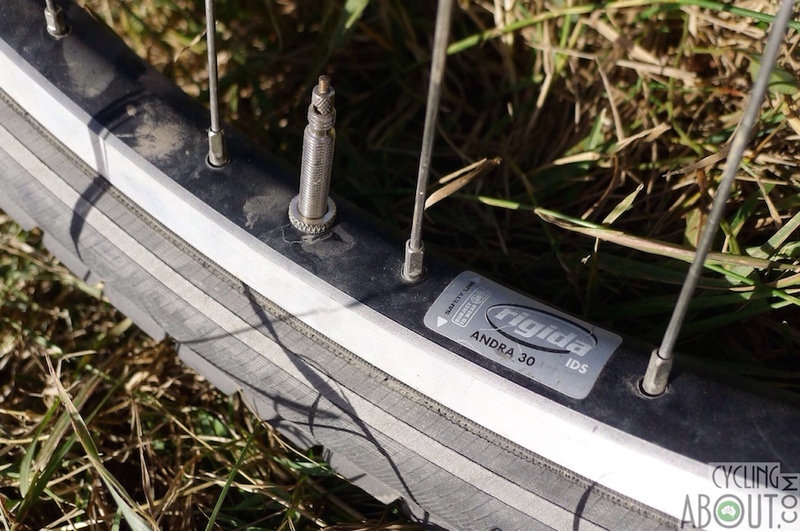 The Ryde Andra 30 (or 35, 40) is the strongest touring rim available. 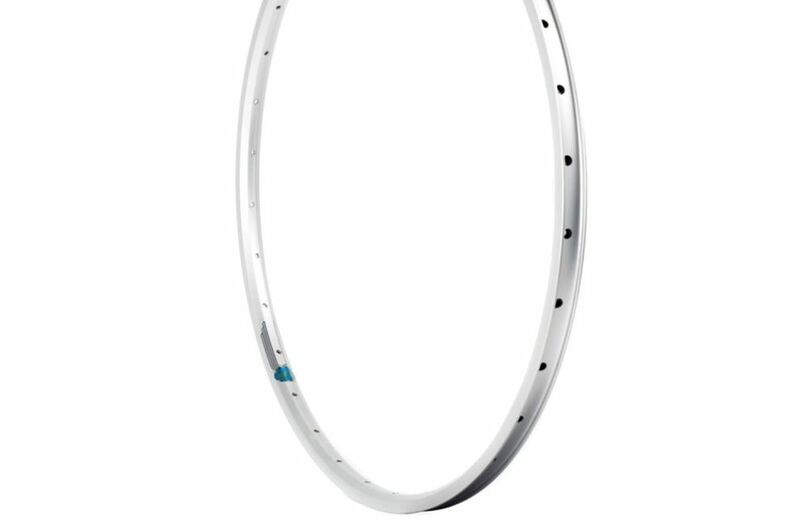 The Velocity Atlas 650B Rim. 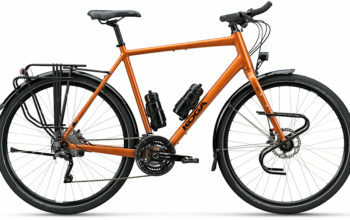 Koga use 40-hole EXAL ML21 double eyelet rims for their touring bikes. 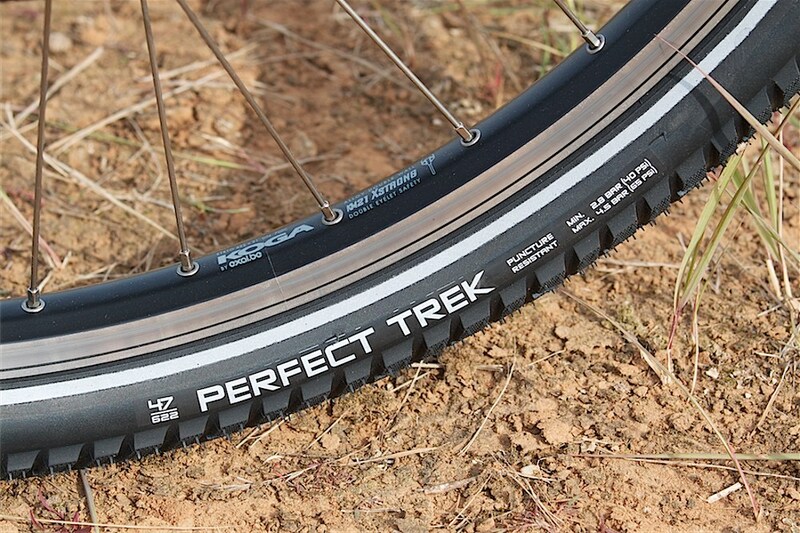 Have You Used Any Other Rim That Can Be Recommend?